Police have arrested two people in connection with a fatal crash on the A24. Officers said a stolen black Mercedes AMG estate was involved in a collision with a Ford Fiesta on dual carriageway at Horsham in which the 70-year-old driver died and her female passenger was injured last Friday (November 10). Police said shortly before midday on Wednesday, November 15, officers visited an address in Twickenham where they arrested a 23-year-old man from Staines-on-Thames on suspicion of causing death by dangerous driving and residential burglary. A 24-year-old woman from Feltham, Hounslow, was also arrested on suspicion of assisting an offender. At the time of going to press, both remained in custody. Police said that two cars believed to be connected to a burglary at Goring had left Buck Barn service station just after 2pm on November 10. One car left the road shortly afterwards and a man was apprehended, police said. 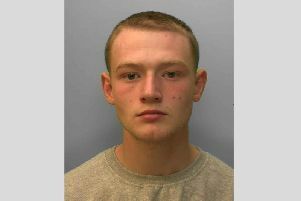 Sussex Police confirmed that Isaac McFadyen, 18, a student, of Hounslow Road, Hanworth, Feltham, appeared before Crawley magistrates on Monday (November 13), where he pleaded guilty to two counts of burglary, theft of a motor vehicle, driving without a licence, driving without insurance and receiving stolen goods. He pleaded not guilty to dangerous driving. He has been remanded in custody to appear at Crown Court on December 11, police said.